Recently, I have been watching several of the Marvel movies. Now, I realize there are several series of movies that are technically "Marvel superheroes," but I am referring specifically to the Avengers series, which, for those of you that don't know, includes Iron Man, Captain America, Thor, Hulk, and others. The movies are so different in tone, nearly everyone can find at least one movie he or she likes. This list is highly subjective, but here is my personal opinion. Beware of spoilers! I will try to be as vague as possible, but there might be a few. Note: I have not seen Ant-Man or Captain America: Civil War, but I have seen all of the others in this series. 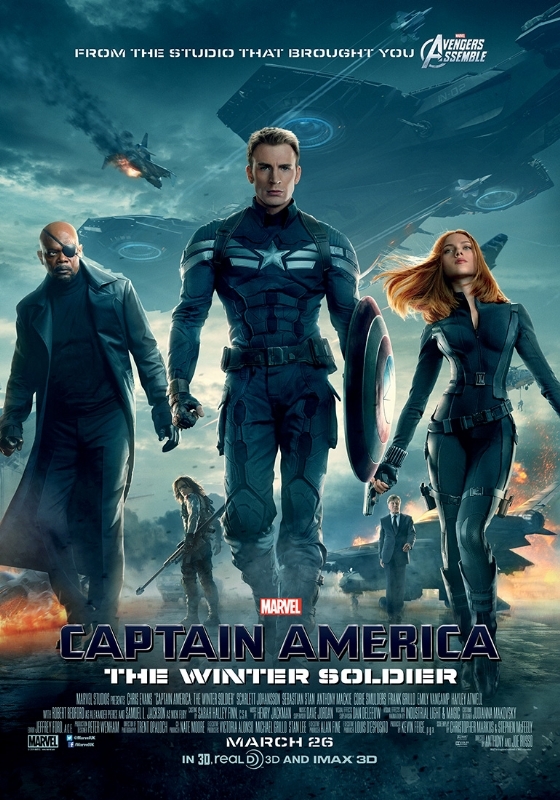 Featuring Captain America, Black Widow (Natasha Romanoff), and Nick Fury, this episode feels like a spy movie. Neither Cap nor Romanoff have the flashy powers of Iron Man, Thor, or Hulk. Instead, they are simply highly trained and, in Cap's case, physically enhanced. When the mysterious Winter Soldier showed up to threaten S.H.I.E.L.D, Nick Fury, Captain America, and Black Widow were forced to go on the run as everything they believed in came crashing down around them. Even the deadly Winter Soldier himself was not who everyone believed... 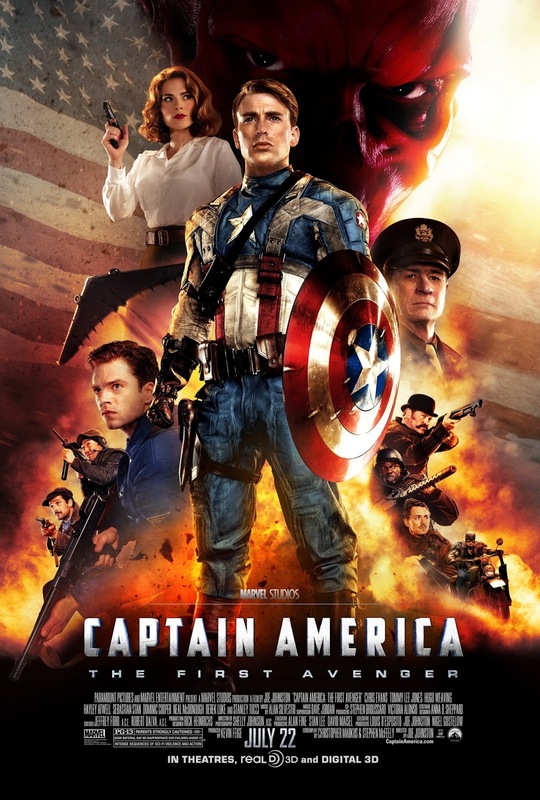 I love this movie for several reasons: 1) I love Captain America, 2) the whole movie felt like a high-intensity spy adventure, and 3) it followed up on some of the foreshadowing from The Avengers, and the mighty, ubiquitous S.H.I.E.L.D. itself was shaken to its core. Overall, this was a fantastic movie. 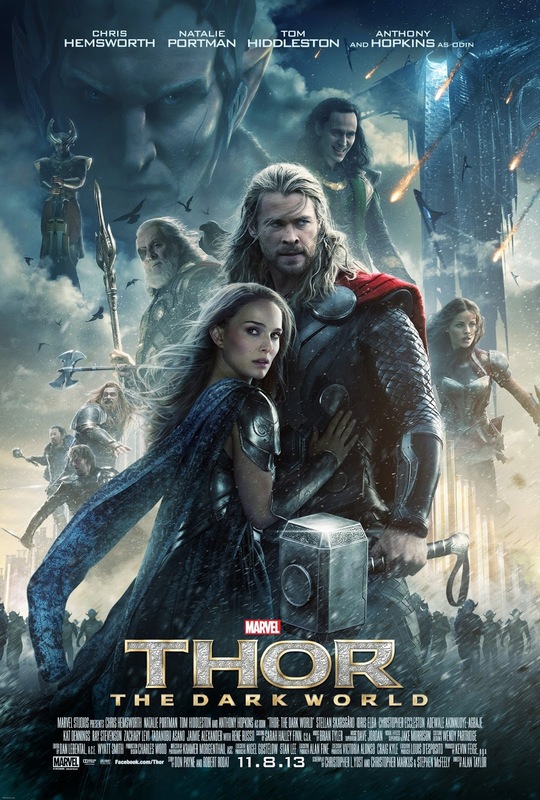 As a huge fan of both fantasy and Norse mythology (which first introduced many common fantasy tropes), Thor: The Dark World was my favorite movie mainly because of the setting. The whole movie was just beautiful... Asgard was stunning, Svartalfheim was lovely in a dismal sort of way, and the costumes were fantastic. Of course, there were other factors that make this movie the best. Loki is one of my favorite characters (and my #2 all time favorite villain), and his actions in this movie only cemented this status. His skills of manipulation and deception are legendary. But Loki isn't the only great villain in this movie. The dark elves, which capture the top spot in my "Top 3 Mythical Creatures" post, also make an appearance as the "true" villains. This movie was everything a fantasy-lover could want, and I haven't even mentioned the plot! All in all, this movie certainly deserves its number one spot. What about you? Have you seen the Avengers series of movies? If so, which was your favorite, and why? Let me know in the comments! Fun post, Hannah! I'm ashamed to say that the only Avengers movie I've seen so far is Ironman. It sounds like I would like all of these better - I'll have to check them out when I have a chance! Iron Man was ok, but I am not a fan of his arrogance or the "mood" of his movies. I certainly found the others much more interesting. :) Like I said above, the movies are different enough in tone that it isn't too hard to find at least one you like. We've just started watching these as a family! Fun! Somehow we started with Avengers: Age of Ultron, though. ; ) We'll have to watch them in the right order. . . and AntMan was very fun and funny! Probably good for slightly younger viewers. . . Thanks, Hannah! Yeah, Age of Ultron was not the best one to start with. ;). I started with the original The Avengers, so I was a bit lost too. They are fantastic if you watch them in the right order, though. I'm glad Ant Man was good. I love Marvel movies, specifically the ones produced by Marvel Studios themselves (the Avengers-related ones you mentioned). I haven't seen Civil War yet either, simply because I don't have anyone to babysit my kids right now. Thor: The Dark World is my favorite too! Being a fantasy-junkie, the Thor series if my favorite. It helps that Loki is my favorite character from the Marvel Universe, and Thor is my second favorite character. Thor (the original movie) is my 2nd favorite. If I hadn't watched the movie too many times, it might be my number 1. Avengers (original) is my 3rd favorite. Honorable mention to the Winter Soldier (great villain!) and Ironman (the original). I want to see the first Captain America movie! I have seen Thor and the Avengers, but not their sequels and none of the other Marvel movies besides Ironman. I need to catch up! I thought Thor was a really beautiful movie, too, and I’m excited to hear the second one is even more beautiful. Thank you for the fun post, Hannah! You should definitely watch the first Captain America movie. It is fantastic. You're welcome! I enjoyed reading about the Marvel characters from your perspective, Hannah. My only first-hand experience was watching the Captain America movie, and it was surprisingly more sophisticated than I expected. Now I may have to explore this type of story/character further after reading your comments! Thank you for introducing them in depth.